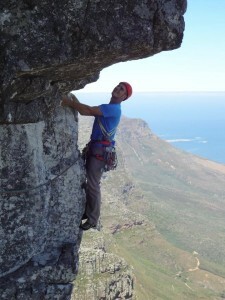 Tony Lourens, born and bred in Cape Town, has been involved in climbing and mountaineering for over 40 years and has climbed and trekked throughout South Africa and in many countries around the world. Passionate about all things climbing, he loves to explore new places and climb in as many different areas as possible. He has written and published a number of climbing and walking/scrambling guide books for areas in the Western Cape and also authored The Complete Climbing Manual, which sold world wide in five different languages. Tony is also the editor and publisher of SA Mountain magazine (South Africa’s only dedicated climbing magazine), which he founded in 2002.